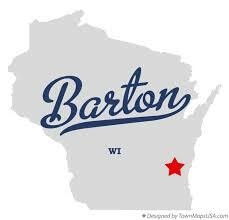 Ensconced within West Bend, with a population of just 2,546, Barton is the perfect small town in Wisconsin to live! This Washington County community has the charm of a different era, with all the modern shops, schools and conveniences of West Bend just around the corner. Barton Ave is host to small businesses like a restaurant and cafe. Beautiful trees and plush green lawns surround the beautiful classic and contemporary homes in the area. This wonderful, family-friendly community comes together throughout the year for fun celebrations like fund-raising brat fries, and the Harvest Moon Celebration & Dance held each October. Barton offers a variety of classic homes, ranging from starter homes to larger estates. Have a look at the available homes below and give our NextHome Lake Country real estate agents a call to arrange a showing!